After over a year I went back to the story. There is still much to tell, so this is not going to be the end. 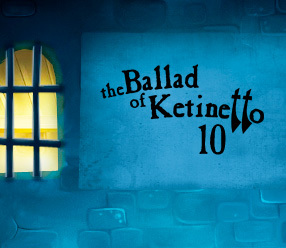 This entry was posted in Escape Games, Games, Our games, The Ballad of Ketinetto. Bookmark the permalink. Is this a new game? Federico, you have done a wonderful job with this aiplicatpon and today you made my day with the 3D app launcher, which performs better than the Nexus one.Your launcher runs without any problems on Nexus with froyo.One suggestion, on the 3D app launcher when scrolling down, it takes some time to spring up to the first raw or icons, maybe reduce the timing there.Thanks for all your effort. when we are getting next part of ballad of ketinetto????????????????????? i love it sooooooooo much please get it soon!! !